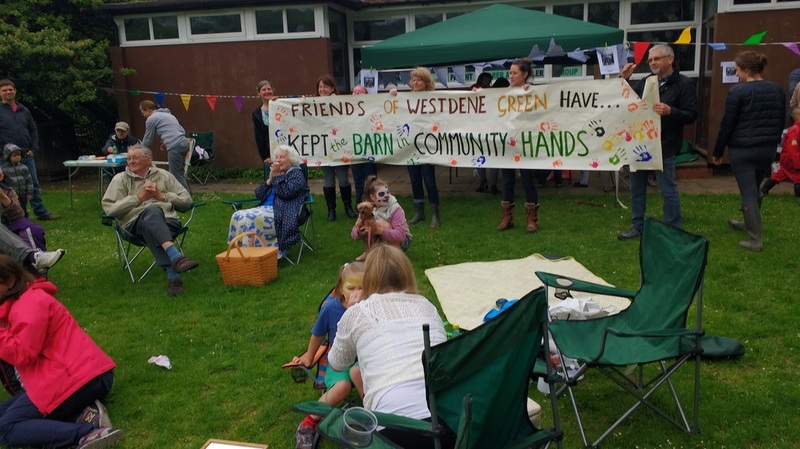 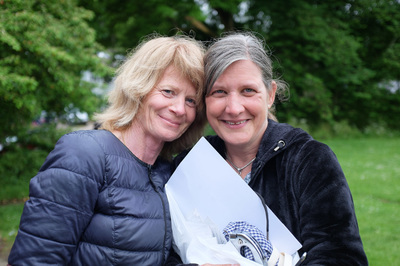 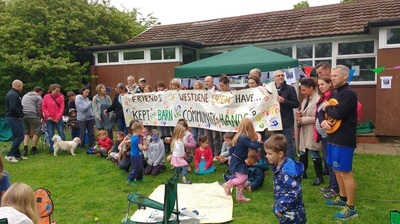 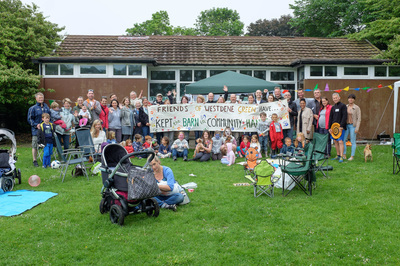 Community picnic and Celebration of The Barn coming back into community hands! The Big Lunch was great! A great example of community spirit as we came out in good numbers despite the yucky morning's weather. 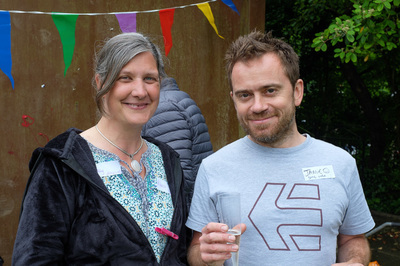 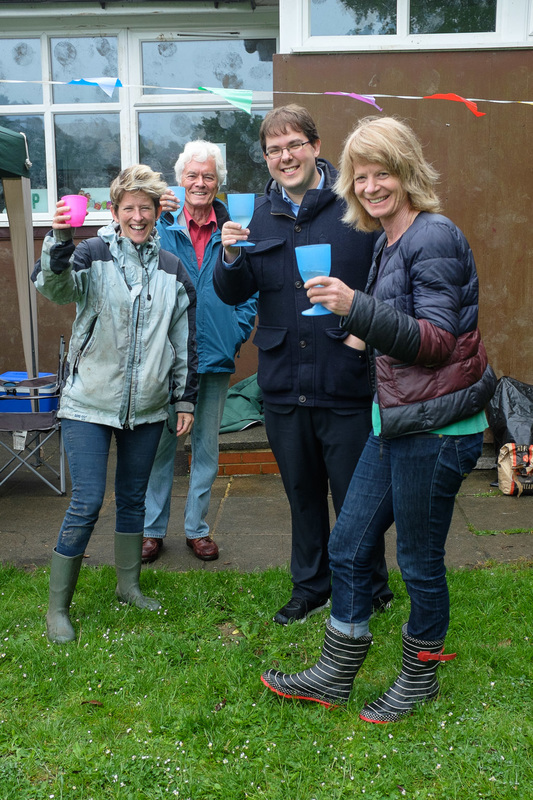 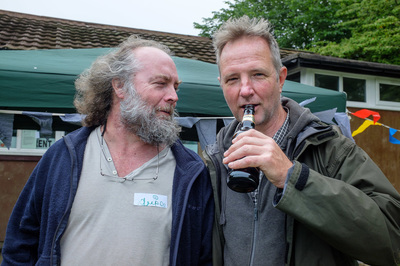 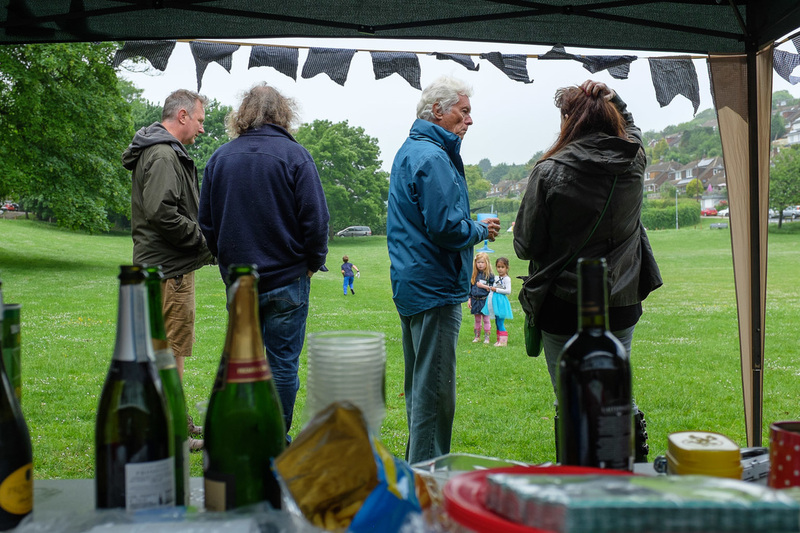 Fortunately the rain seemed to clear just in time, gazebo's and lovely, colourful bunting went up, we toasted the recent success of winning the lease on the Barn and the picnic began in earnest. 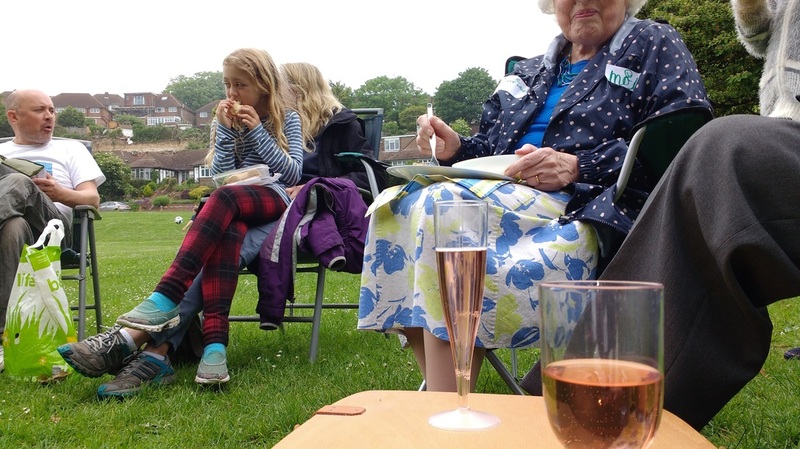 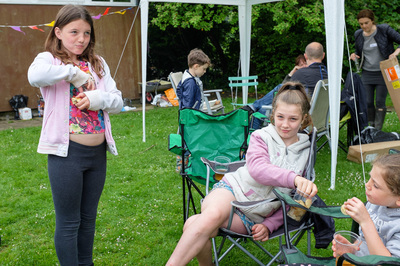 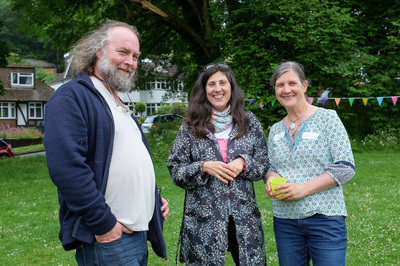 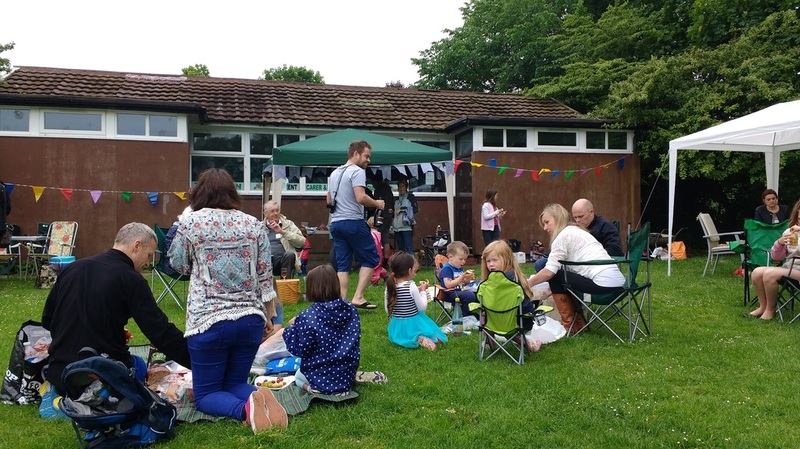 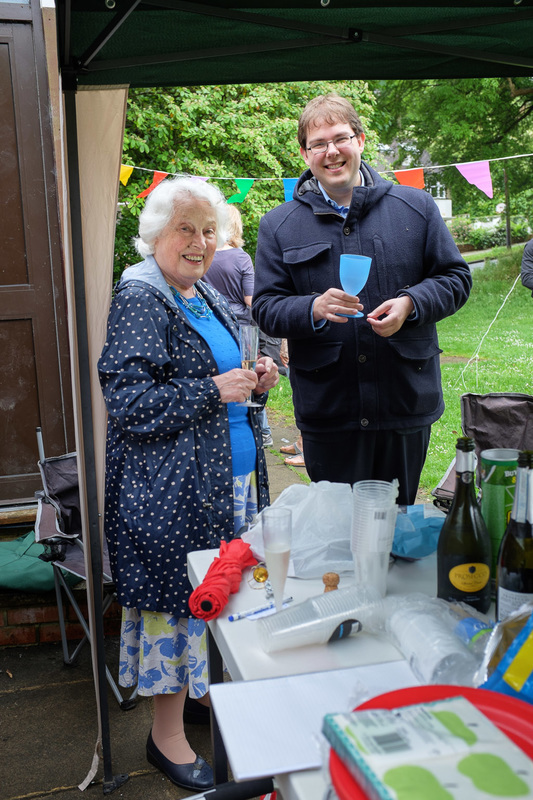 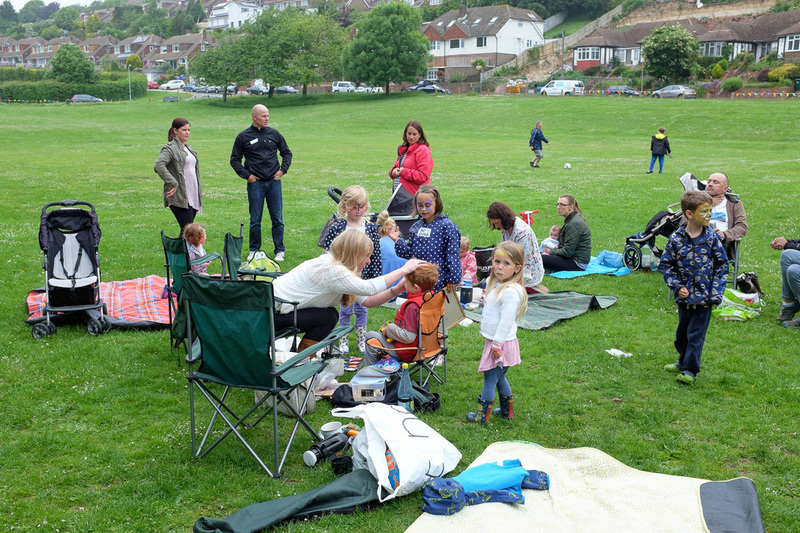 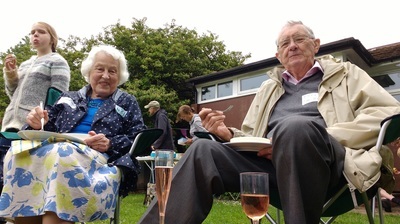 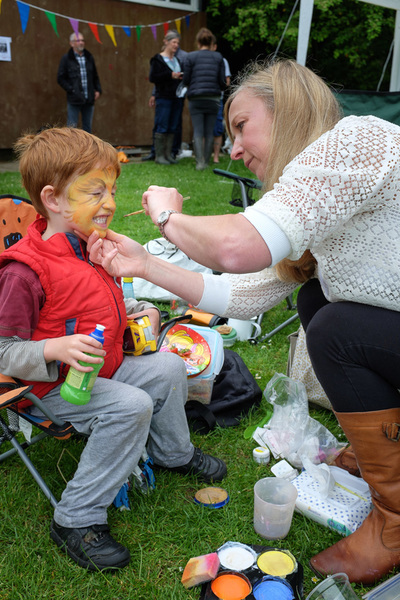 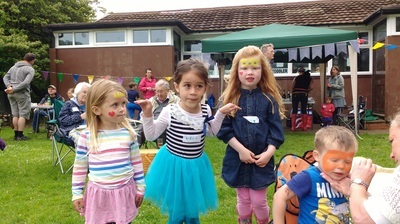 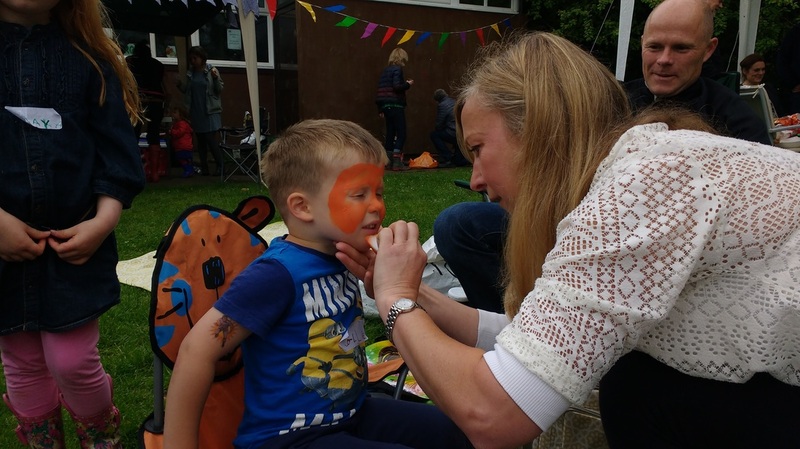 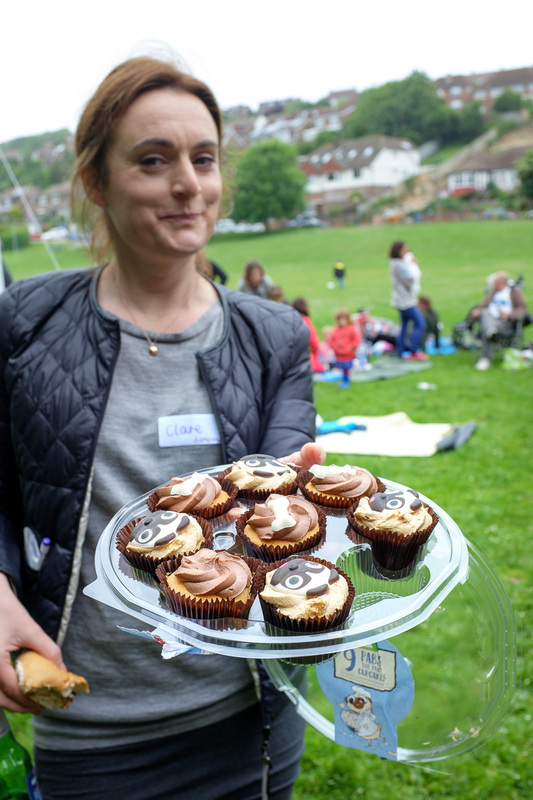 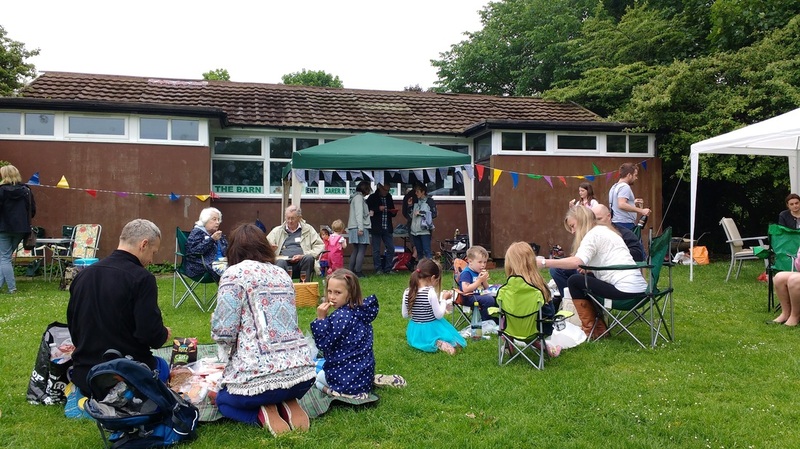 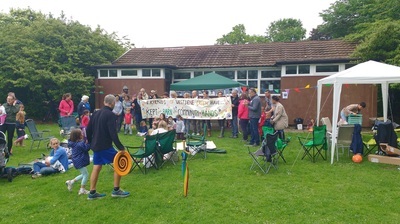 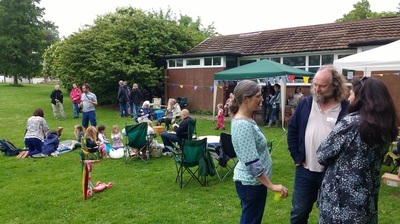 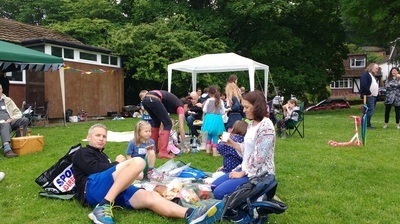 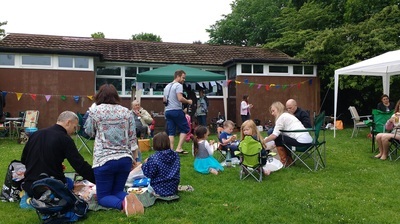 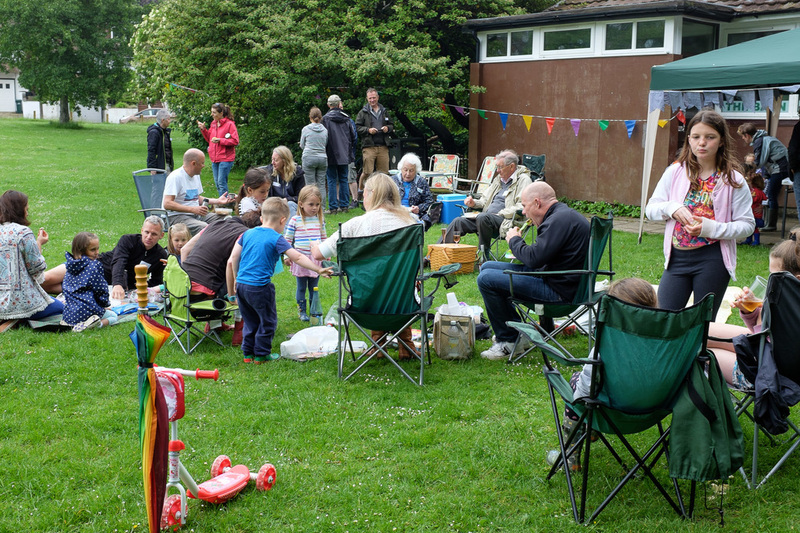 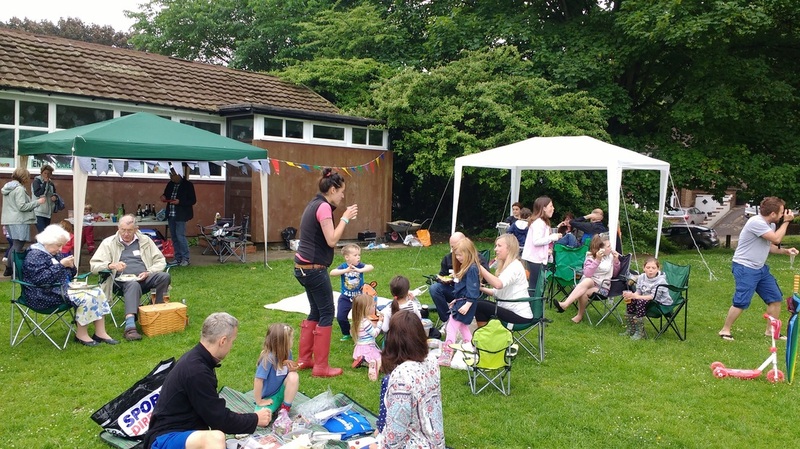 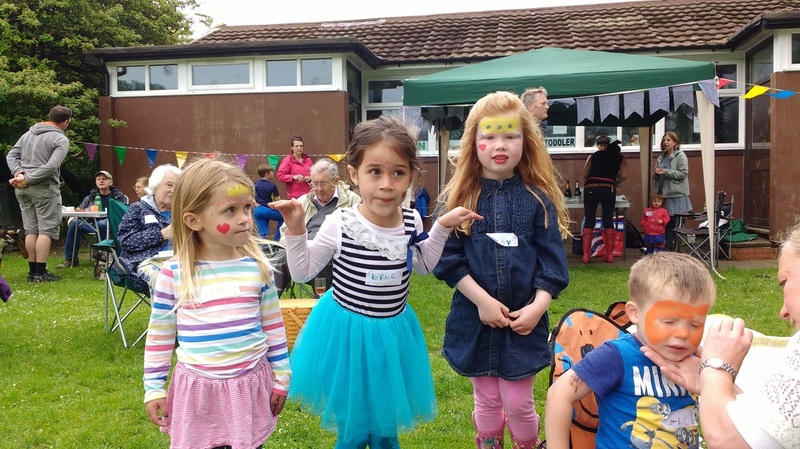 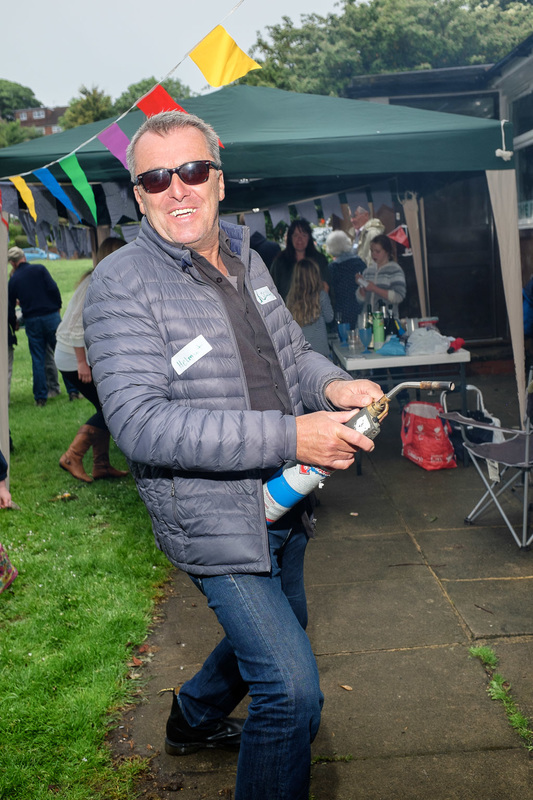 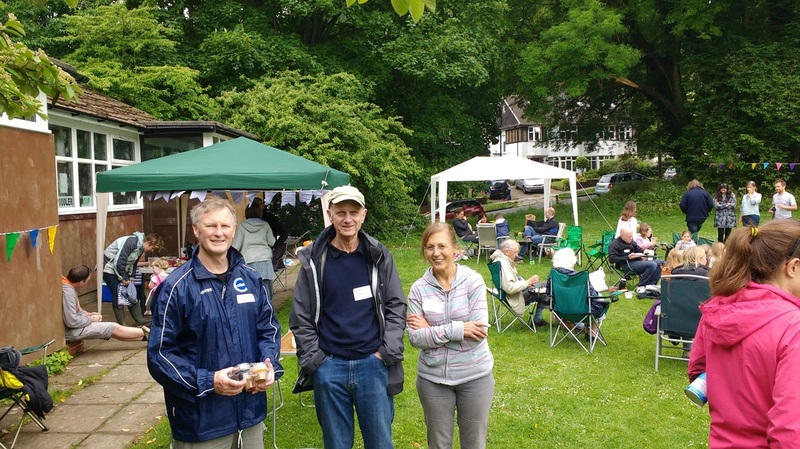 BBQs were lit, food appeared - a fine spread; even our local councillor Nick Taylor had made yummy rock cakes - children had their faces painted, names were learnt, everyone met someone new and we had representatives from the W.I. (Molly with more delicious cakes) and TWEACK also there, letting us know about community activities. Long-standing and very new residents mixed, young and old, human and canine. 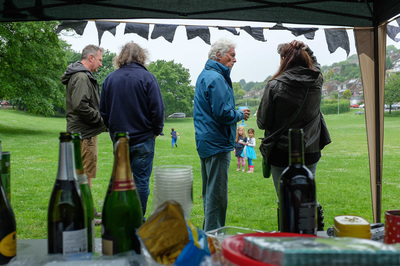 It was still going at 3pm so, for anyone who felt very put off by the weather (fair enough! 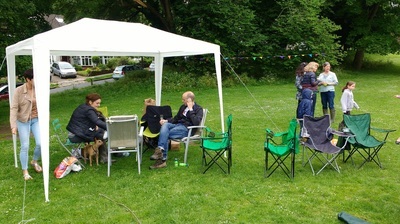 ), do come along next time for more fun and friendship building.